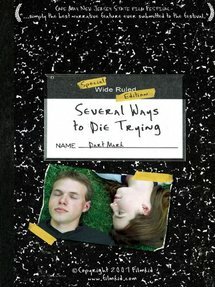 Dart Mark wants to kill himself when no one will publish or even read his first novel. He gets writer's block while trying to write his suicide note and won't go through with offing himself without finishing it. While trying to clear his head he meets Molly Usie and eventually falls for her. He has to decide if Molly is worth living for or if he should just go jump off a cliff.